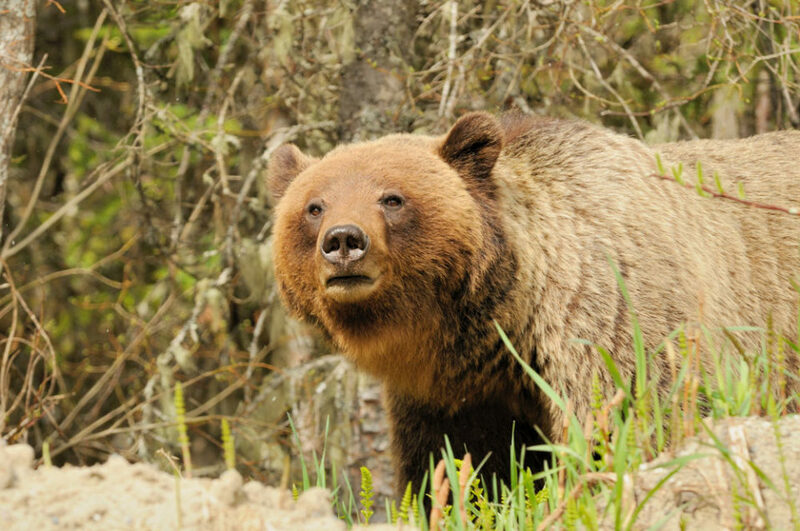 Steve Michel, human-wildlife conflict specialist with Parks Canada, offers the following advice to reduce the risk of attracting ursine crashers to your camping party. Heed Steve Michael’s tips the next time you go camping and reduce your chances of encountering a big, wild animal. When you’re done eating, put all extra food, dishes, food-prep items, camp stoves and coolers into the car. Keep toiletries in the car, too (animals don’t know it’s a tube of toothpaste, they just smell something delicious and minty-fresh). Dispose of garbage promptly in the campground’s bear-proof bins. Don’t forget recyclables, either – empty beer and pop cans still give off an aroma and could create a “wild” after-party. If you aren’t travelling in a hard-sided vehicle (perhaps you’re on a motorcycle trip, for example), plan to stay at a campground with food-storage lockers. And don’t leave them unattended, especially at night. Make sure pet food and bowls are also secured away in the vehicle or storage locker. Should a bear wander through your campsite, calmly move your group into the vehicle – not the tent. “Bear spray should only be used as a last-resort manoeuvre,” says Michel. In the National Parks the bare campsite isn’t just a suggestion – if you don’t comply, your camping permit can be cancelled (with no refund) and you could face charges under the Canada National Parks Act. But, even outside the parks, following the bare campsite guidelines is a good move – for your own peace of mind and for the well-being of the bears, which become a risk to public safety if they become accustomed to humans and could end up euthanized as a result.